Black paper shopping bag with handles and luxury black box Mock Up. 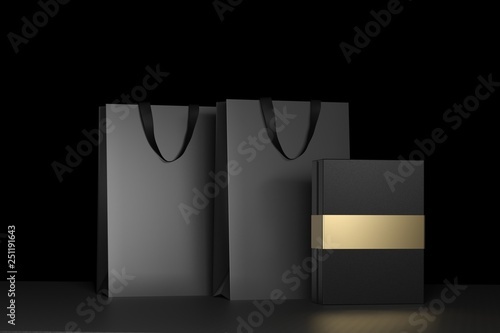 Premium black package for purchases mockup on a black background. 3d rendering.